Eiffel Tower Ride in Paris Las Vegas: 2-for-1 Ticket Coupon! This is a limited-time offer. Quantities are limited so don’t miss out! Click here to view our Buffet & Dining Deals page for all the top restaurant deals in Vegas. Promotional value expires 90 days after purchase. Amount paid never expires. Only valid on days indicated. Limit 1 per person, may buy 1 additional as gift(s). May be repurchased every 180 days. Limit 1 per visit. Limit 1 per table. Valid only for option purchased. Valid for dine-in only. Must purchase 1 food item. Must provide 21+ ID to receive alcoholic beverages. Merchant is solely responsible to purchasers for the care and quality of the advertised goods and services. No need to decide – Mexican or Chinese? 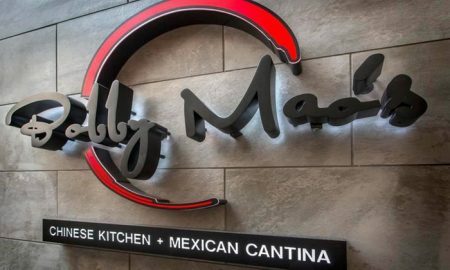 Groups of friends and family members can choose a perfect dish from a wide offer at Bobby Mao’s. Menus include Chinese and Mexican lunch or dinner options, vegetarian dishes, and kids’ fares. On hot days, Bobby Mao’s invites guests to a dog-friendly misted patio. © 2019 Just Vegas Deals. All Rights Reserved.